The world's oldest known spider died at the age of 43, according to researchers in Australia. The spider, was also known as Number 16 to Australian scientists, was a female trapdoor tarantula living in Western Australia’s Central Wheatbelt region. Althought, the spider didn't die of old age, but was killed by a wasp sting, researchers said Monday. 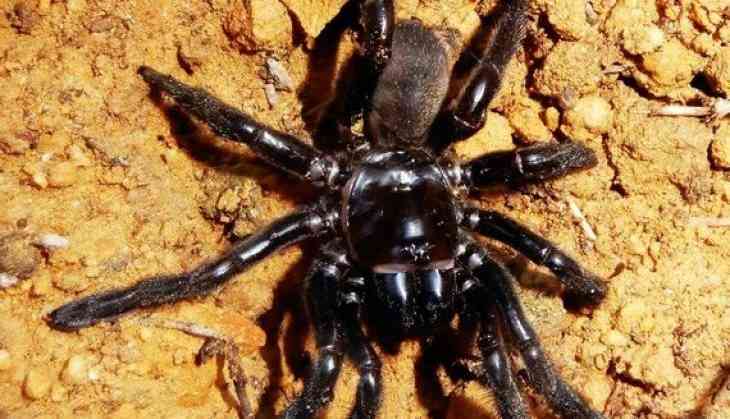 The female trapdoor outlived the previous record holder, a 28-year-old tarantula found in Mexico, according to a study published in the Pacific Conservation Biology Journal. The 43-year-old spider helped scientist to find out important function about the behaviour of an arachnid that can be found across Australia, including in domestic gardens. Lead author Leanda Mason from Curtin University said, "To our knowledge this is the oldest spider ever recorded, and her significant life has allowed us to further investigate the trapdoor spider's behaviour and population dynamics." In 1974, a research project to study trapdoor spiders in the Central Wheatbelt region of Western Australia was first launched by Barbara York Main, during which Number 16 was found and monitored. "Through Barbara's detailed research, we were able to determine that the extensive life span of the trapdoor spider is due to their life-history traits, including how they live in uncleared, native bushland, their sedentary nature and low metabolisms," said Mason.